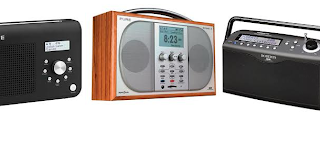 Lincolnshire becomes the latest county to get its own local DAB digital radio multiplex, with three radio stations becoming available on DAB from Thursday, 1st October 2015. Operator MuxCo has confirmed that DAB listeners across the county will be able to listen to BBC Radio Lincolnshire, Compass FM and Lincs FM from just after midnight on the 1st. The multiplex will broadcast on VHF Block 12A, where test transmissions are already on-air from three transmitter sites - Belmont (the site of the main TV transmitter), Lincoln and Grantham, with the signal widely received across the county and into East Yorkshire. Reception has even been reported into Rutland, despite being just outside of the advertised coverage area. Listeners will need to retune their DAB radios to gain access to the new services.